28": CHANCE! Arnautovic evades the offside trap before diverting a long ball into the path of Nasri. He then lays it off the late-arriving Anderson, who drills a crisp strike inches wide Leno right-hand post. 22" :CHANCE! A deft flick from Iwobi releases Kolasinac in behind the West Ham defence. The Bosnian chooses not to try and Aubameyang at the far post and instead cuts it back for Lacazette, but Rice senses the danger and bails the Hammers out with a crucial interception. 6": CHANCE! Antonio brilliantly keeps the ball in play on the right flank, drives in field and picks out Noble on the edge of the area. The Hammers skipped then plays a neat one-two with Nasri to open up a sight of goal, but his tame left-footed shot is comfortably saved by Leno. 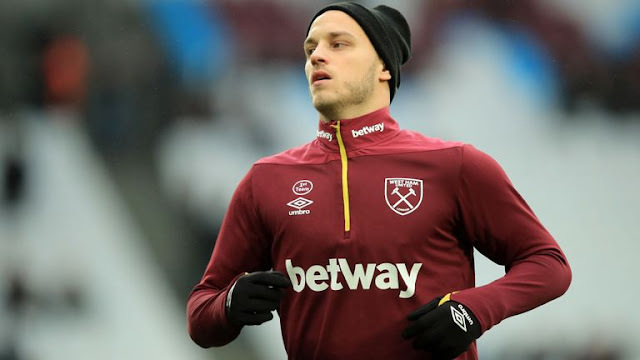 West Ham United : Fabianski 7, Zabaleta 7, Ogbonna 7, Diop 7, Cresswell 7, Noble 8, Rice 9, Antonio 7, Nasri 8, Anderson 7, Arnautovic 6. Subs: Obiang N/A, Snodgrass 5, Carroll 5. Arsenal FC : Leno 6, Mustafi 6, Sokratis 6, Koscielny 6, Maitland-Niles 6, Xhaka 5, Guendouzi 7, Kolasinac 6, Iwobi 7, Lacazette 6, Aubameyang 6. Subs: Bellerin 6, Monreal 5, Torreira 5. 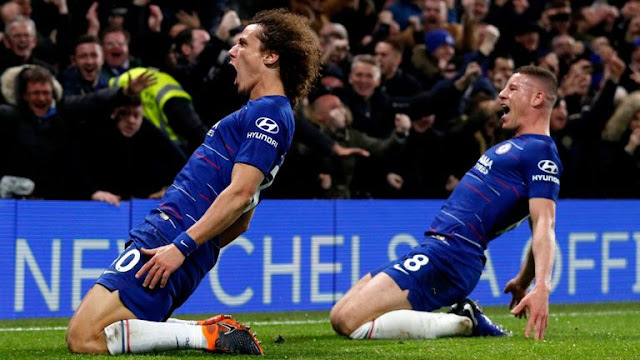 Arsenal have taken just two points from their last five away Premier League games (W0 D2 L3) – they won 13 points in the five away games prior to this run (W4 D1 L0). Declan Rice (aged 19 years 363 days) is the first teenager to score a Premier League goal for West Ham since Junior Stanislas in November 2009. West Ham registered only their third home Premier League win against Arsenal and their first since November 2006, ending a run of 10 home games without victory against the Gunners (D3 L7). 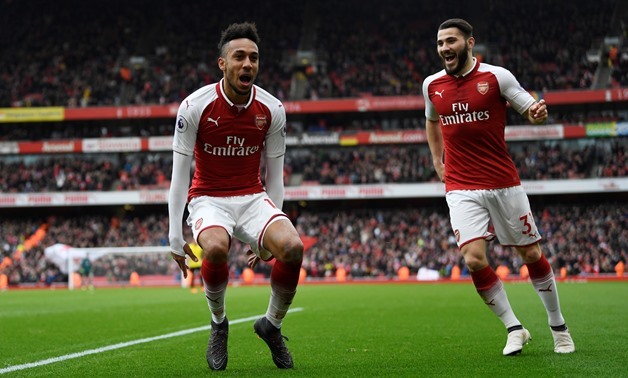 Arsenal have taken just two points from their last five away Premier League games (W0 D2 L3) - they won 13 in the five away games prior to this run (W4 D1 L0). Arsenal have won just three of their last 15 away Premier League London derbies (W3 D5 L7). Manuel Pellegrini remains unbeaten in home matches against Unai Emery in all competitions during his managerial career (P7 W5 D2 L0). 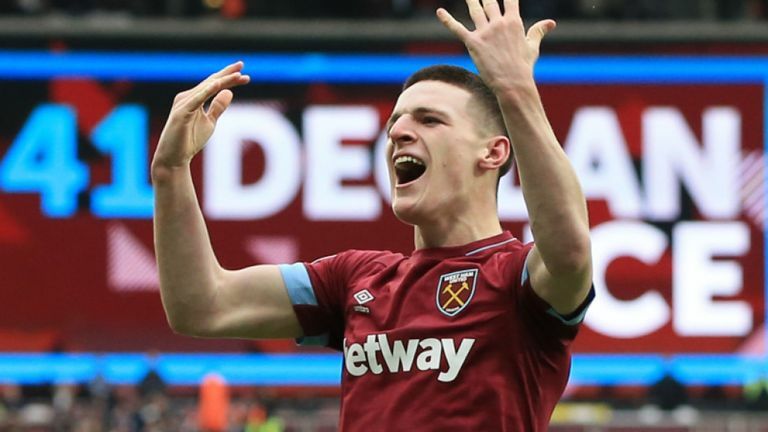 West Ham have won six of their last nine Premier League games (D1 L2) - their previous six wins came over a period of 24 matches. Konstantinos Mavropanos returned to training this week and back in contention. However, Danny Welbeck and Rob Holding remain on the sidelines. 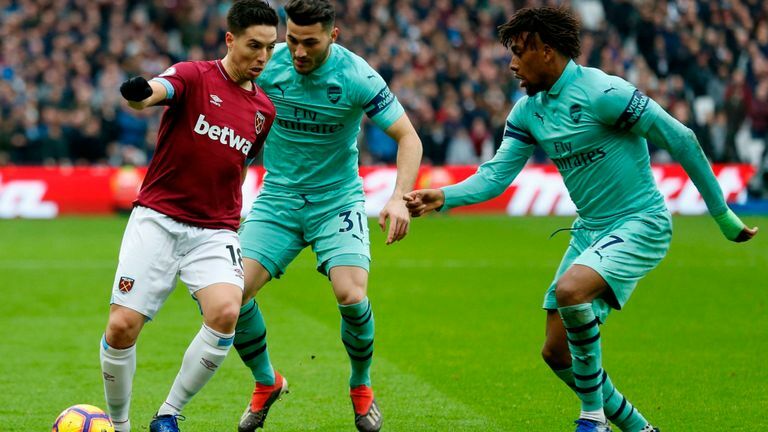 Former Arsenal playmaker Samir Nasri is set for his first Premier League appearance since August 2016, but West Ham's injury list remains long. Andriy Yarmolenko (Achilles) are all missing. Leno, Mustafi, Sokratis, Koscielny, Maitland-Niles, Xhaka, Guendouzi, Kolasinac, Iwobi, Lacazette, Aubameyang.